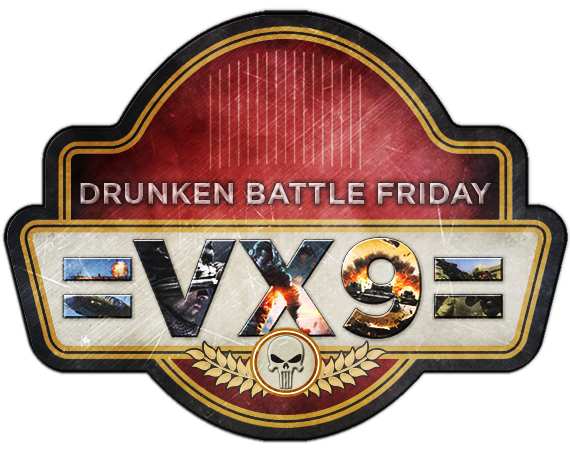 Join us for Drunken Battle Friday, with summer approaching there is no better way to kick things off than a few cold ones while gaming with your community brothers and sisters! DESTINY 2 @ 9:00PM EST - Join India for Destiny 2 this week, there will be both PvP and PvE so a little something for everyone. An MVP will be chosen in the first hour so be there early if you want a chance to bring home some OTC! Follow link below for more info and India's raffle. SQUAD @ 9:00PM EST - This week Omega will be playing Squad! Follow link below to follow the discussion or to enter the Omega raffle. HITMAN/CROSSBOW CHALLENGE @ 9:00PM EST - This week in PUBg you will be going medieval, dust off those crossbow skills! Check out the link below for more info as well as to enter the Shadow Company raffle. RANDOM DRAW - POST UP A QUOTE MADE BEFORE 1990 BY AN INFLUENTIAL FIGURE! Join us for Drunken Battle Friday, stop by Teamspeak and find some gaming trouble this Friday! RAFFLE: Choose a number between 1 and 50! Join us for OFFICERS VS ENLISTED this Friday! 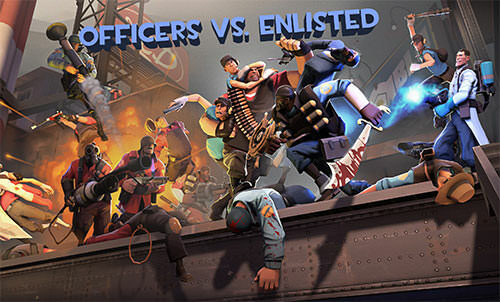 OFFICERS VS ENLISTED @ 9:00PM EST - Join us this Friday for a community wide event in Fistful of Frags. It's a hefty d/l so be sure to have it installed before the event. You can be sure some prizes will be given away during the event and adult beverages are always encouraged! RANDOM DRAW - POST UP A SCREENSHOT FROM THE OvE EVENT FOR A CHANCE TO WIN 100 OTC! The continued efforts you guys make in our community are appreciated. Thank you for all you do! I want to thank you all for your continued support and dedication to our community. The strength of this community starts with you! Well deserved Promotions! Continue to do what you do! It's time to take out that frustration on the Officers again! This week the Officers will host the enlisted again for another match up. If you can stream the event we encourage you to! There will be prizes awarded, to be announced at the event. We have setup a dedicated server for us to play on. If you have difficulty connecting please make sure you are connected to TS. If we have 30+ people we have a big prize to give away.